Writing this, my second novel, was in many ways a harder job than my previous work, Sharpe's Gator. This was true for a number of reasons. First, Gator takes place late in Sharpe's career, when he is already an established character with known traits, behavior patterns, and ways of getting things done. It was comparatively easy to plug him into new situations and figure out how he would respond. In Egypt, on the other hand, I had to go back with Harper to a time eleven years before he met Sharpe, a time about which we know virtually nothing. I had to create an adolescent Harper, still recognizable as the big sergeant who was at Sharpe's side through most of the Peninsula, but a younger and more naive version. I also had to create a family and a home for him. This took some creative speculation on my part. I had to imagine what his early training would be like, and what influences he came under to mold him into the man he became. I chose the Corps of Marines as his branch of service because I wanted him at all three phases of the Egyptian campaign, and only in the marines would this be possible. Secondly, Egypt takes place over a much longer time period than Gator. The majority of Gator (about 80%) happens over only two weeks, and almost every day had several events of major significance. In contrast, Egypt covers nearly four years, three years and seven months, to be exact. Obviously, to keep the narrative within reasonable limits and not to bore my readers to distraction, I have had to quickly gloss over large periods of time where little or nothing of any significance happened. This makes the pace of Egypt somewhat more episodic and uneven than Gator's pace. Long periods of training, campaigning, or imprisonment are sometimes dispensed with in a few paragraphs. Even for those events where Harper was not involved, I thought it important to give some narrative of what was happening in the campaign. However, I have tried to keep these brief. Also, this was very much a campaign in which the French perspective is important; hence I have borrowed Jean Calvet from Sharpe's Siege and Sharpe's Revenge, although during this campaign he is only a captain, not a general. Thirdly, unlike Gator, the historical context of Egypt does not conform to our classic idea of a story, where the action builds and builds until it reaches the climax, and then the story is over. The rhythm of the New Orleans campaign lent itself to this novel format better than the Egyptian campaign did. This is often a problem that historical writers face. They have to work within the rhythm of what actually happened. In the case of the Egyptian campaign, it can be divided into three phases, much like the three phases of Sharpe's Indian career; Tiger, Triumph, and Fortress. These phases have actually translated for this work into three separate narratives, call them short novels or long short stories, as you will, which form one long novel. Abuquir - 1798 - The opening French invasion of Egypt and the British response. This is prefaced by a look at young Harper's life in Ireland, and then climaxes fairly early in the naval Battle of the Nile (which would be more accurately called the battle of Abuquir Bay). Acre - 1799-1800 - The French invasion of Palestine and subsequent negotiations. This is the only phase that follows the classic story pattern, with the climax, the lifting of the siege, taking place at the end where we would expect it. However, it was followed by several comparatively uneventful months in Cairo, which didn't quite fit in with this part, but definitely didn't fit with the third. Alexandria - 1801 - The British-counter invasion of Egypt and eventual expulsion of the French. This climaxes with the Battle of Alexandria in March. It might have been better for the story if the French had surrendered the next day, but the campaign went on for five more listless months which I have tried to move through as quickly as possible. Sometimes, it was difficult to involve Harper in any subplots where he would stand out. The British campaign was very business-like, with little to do outside of camp life and fighting. Thus, often Harper is just one of the thousand of faces in the battle. In this respect, the third part is somewhat like Cornwell's Sharpe's Waterloo, where the campaign and battles are the plot. As with Gator, a multitude of sources went into the preparation of Egypt. 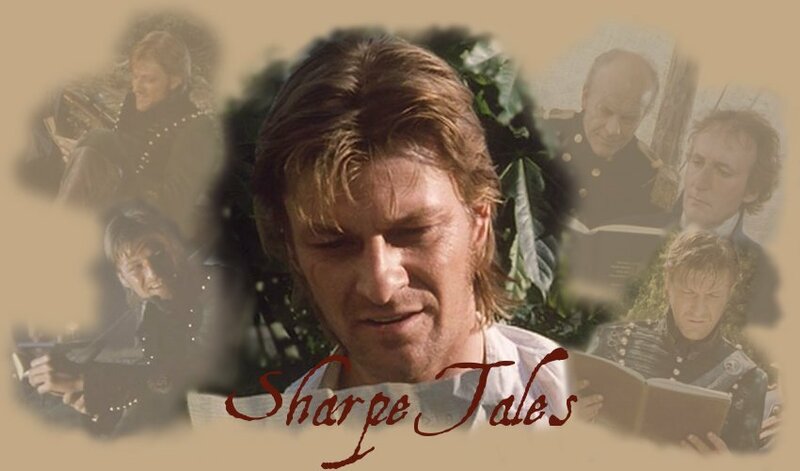 First, as always, goes thanks to Bernard Cornwell for creating the character of Patrick Harper, and also for turning a blind eye to the whole institution of Sharpe fan-fiction, which he could legitimately shut down, but graciously chooses not to. As before, my writing is only done in tribute to him and his characters, and occupies ground that he has chosen to pass over. I remember him distinctly saying that he had no intention of covering Harper's early career, hence this, my own effort. Thanks are also due to the encouragement I received from several people at the Sharpe and Sharpecc discussion groups, such as JJ, Laura, Renosgrll, Karla, Mariel, Curt, and others. Thank you for your support, I hope the result satisfies. For those of you who do not care for fan fiction on principle, read no further if that is your preference, but I hope you will take a page from Cornwell's book and live and let live. First in research is the bible for all serious Napoleonic students, Dr. David Chandler's magisterial classic The Campaigns of Napoleon. Although it only covered the campaign up to Napoleon's departure, Chandler still gave his usual flawless strategic analysis. Hardly less valuable was Alan Moorehead's famous The Blue Nile, particularly for his dealing with the local Muslim culture. Most of the really good histories of the Egyptian campaign were written in the 19th century and are long out of print. Of those that remain, the best is probably Bonaparte in Egypt by J. Christopher Herrold. He covers the entire campaign with admirable insight, dealing not only with military affairs, but also political, cultural, and personal ones, often with a wry, ironic sense of humor. Also helpful was Christopher Lloyd's The Nile Campaign, which consists mainly of official dispatches and journal entries of people who were there, connected by very brief narratives by the author. There are a number of excellent books on various phases of the Egyptian campaign. For the first phase, Oliver Warner's The Battle of the Nile is still considered by many the best book on the battle and its results. For the second phase, Napoleon in the Holy Land by Nathan Schur is unmatched for its coverage of the siege of Acre and the French campaign in Galilee. For the third phase, Piers Mackesy' excellent book British Victory in Egypt-1801 is virtually the only book on the subject, and as far as I can see, none other is needed. Also helpful was Tom Pocok's biography of Sir Sidney Smith, A Thirst for Glory, and Roger Parkinson's excellent book on John Moore, Moore of Corunna. For personal memoirs, I found most helpful the Memoir of Napoleon's Egyptian Expedition 1798-1801 by Captain Joseph-Marie Moiret of the 'Invincible' 75th demi-brigade. His experiences formed the basis for my interlude between Harper and Sulima, which sounded too incredible to include, if the same events had not actually happened to Captain Moiret. For the Arab point of view, I was able to find a translation of Napoleon in Egypt, by Abd Al-Rahman Al-Jabarti, who lived in Cairo during the French occupation and understood the Muslim resentment towards it. I would be remiss in not mentioning Richard Holmes excellent new book Redcoat. 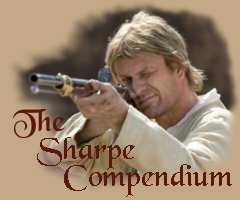 It is a virtual treasure-trove of information on the organization, tactics, equipment, and lifestyle of the British soldier during the time of Sharpe and Harper. It is certainly a must for all Sharpe fans. I had originally planned to set this novel in the Irish Rebellion of 1798, and intended to call it "Harper's Rebellion." I planned for Harper to participate in the uprising, and then join the army in time for the 1801 expedition to Egypt. However, this was plainly unworkable, and I scrapped that plan. The more I researched the Rebellion, the more depressed I became. It was such a hopeless cause that I did not want to put Harper anywhere near it. I put him in Egypt so he would not even learn of the Rebellion until well after the fact, and would be far away from any temptation of joining it. Even if he had survived it, I think he would have been deeply scarred emotionally by those terrible events, and not at all as much at peace with himself as Cornwell presents him. Nor would he have been either able or inclined to join the British army after fighting against it. Egypt presented both a more optimistic scenario and a more exciting one. The details of the Irish Rebellion in Owen's letter of chapter 8 came from the definitive work on the subject, The Year of Liberty, by Thomas Pakenham. Also very helpful for a more personal aspect of the Rebellion was Thomas Flanagan's fine historical novel, The Year of the French. The descriptions of the Harper house in Donegal and his lifestyle there I got from a wonderful book by Mary Murray Delancey, Of Irish Ways. Harper's tales of Cuchulain and his other Irish folk tales were taken from, respectively, Celtic Myths and Legends by T. W. Rollerston and Celtic Fairy Tales by Joseph Jacobs. For details on uniforms, I could do not better than to go once again to the Osprey Men-at-Arms series. I used three here: "Nelson's Navy," for details of Marine uniforms, "Napoleon's Egyptian Campaigns, 1798-1801", for both French and British uniforms, and "Armies of the Ottoman Empire, 1775-1820," for Turkish uniforms. All have excellent color plates. Lastly, I read two novels dealing with portions of the Egyptian campaign, Alexander Kent's Richard Bolitho adventure, Signal-Close Action!, and Richard Howard's Alain Lausard tale, Bonaparte's Invaders. These gave me a feel with how other fiction authors have handled Egypt. Also, as with Gator, the Internet gave me much valuable help. The terms of enlistment that sergeant Fulcher detailed I got from a recruitment poster on the site of the 1st Company, 3rd Battalion of the Royal Marines in Annapolis, Maryland. The details of Donegal and Derry I got from the official web pages for those cities, the listing of birds in Ireland from Brown's Irish Ornithology Tours, and for birds in Egypt from the Egyptian Board of Tourism. I read a fine article by Ronan Doyle on the Marines during the Revolutionary and Napoleonic wars. The Maritime Museum in Portsmouth's site gave me an encyclopedic source for anything concerning life aboard the ships of the Royal Navy. I found articles on blacksmithing (from which I got the description of Harper and his father at work in chapter 1), on the interior and layout of the Great Pyramids, on the Egyptian process of mummification, and on opthalmia in Egypt and its treatment. Many thanks are due to all my sources. Needles to say, any errors I have made in the writing of Harper's Egypt are mine, not theirs.